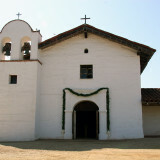 California sightseeing tour guide: Take a 3-mile walk from the ‘Queen of the Missions’ past historic adobe homes and performing arts institutions. 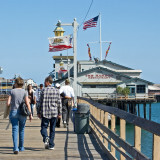 Then the lively downtown and wharf are perfect for a shopping and dining extravaganza! 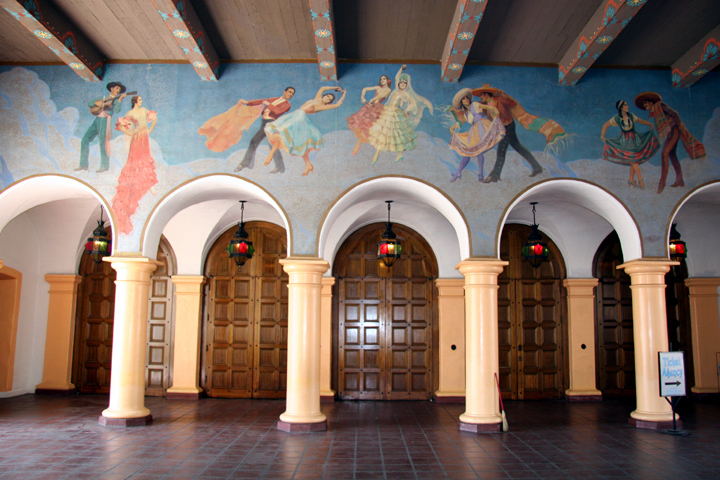 This Santa Barbara walking tour from the Mission to the Wharf includes Theatres, the Courthouse, and Adobes. Chumash Indians populated this area before the conquistador Ortega arrived in 1796. He must have thought he had found paradise itself! Known as the ‘American Riviera,’ Santa Barbara is beloved for its temperate weather – nearly 75 degrees year round – and for the sapphire ocean and caramel mountains that provide a spectacular natural backdrop. The red tile roofs and gleaming arches are symbols of the prevalent Spanish colonial architecture: here, of course, enhanced with the ubiquitous Santa Barbara charm! 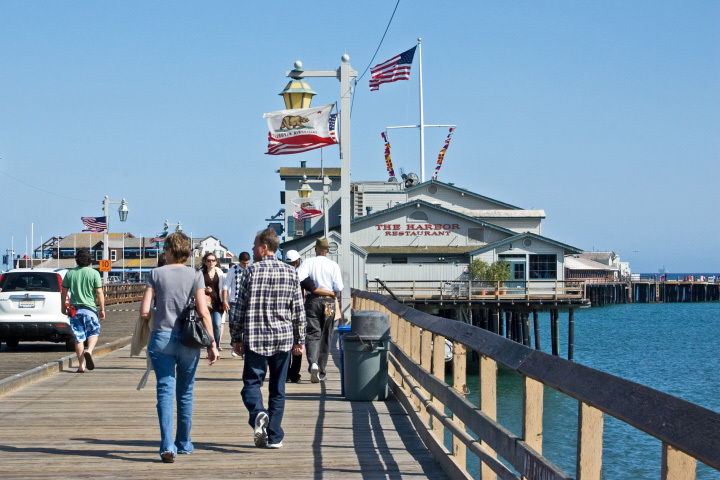 Come along on this three-mile walk that takes you from ‘The Queen of the Missions’ to the historic, wood-planked Stearns Wharf. People tell us all the time that our tours make travel easier and much more interesting. 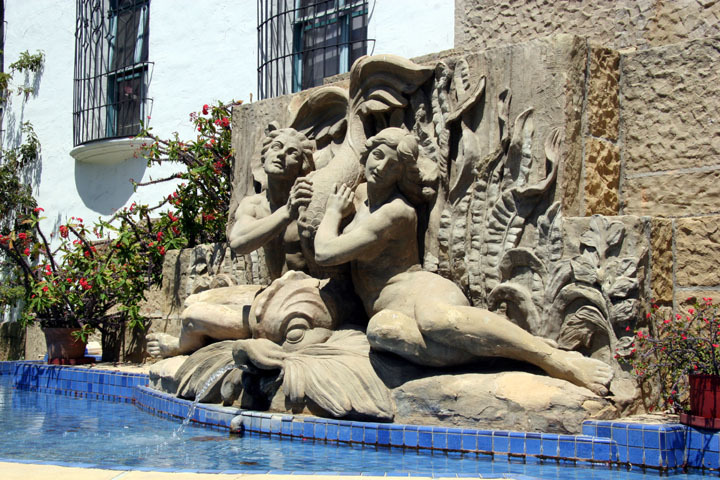 So download this Santa Barbara guided sightseeing tour and come walk with us through one of America’s most beautiful cities. 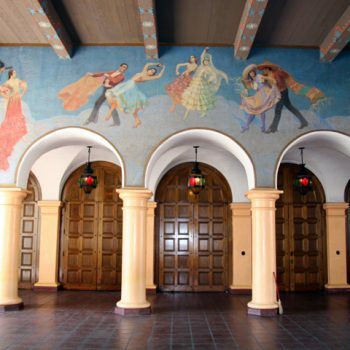 Visiting Santa Barbara? Bring along a bathing suit, sunscreen, sunglasses, and a hat. But don't forget a warmer wrap for those cool evening nights. Santa Barbara's sizzle by day turns into gentle, cool breezes at night. 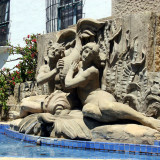 This area is rich with Spanish and Mexican history. 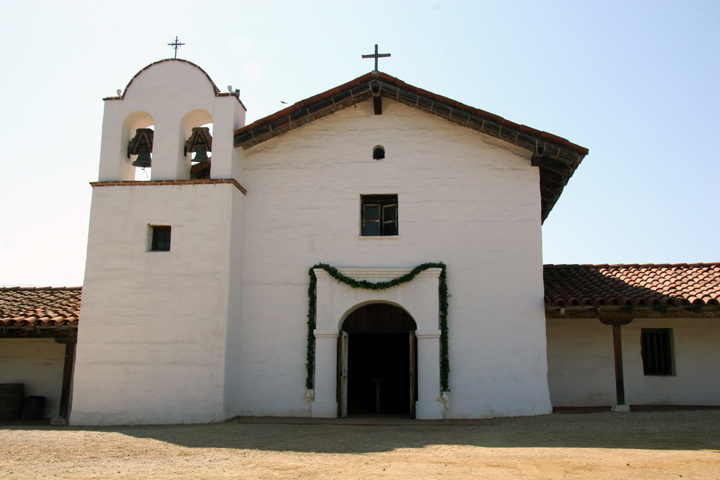 Give yourself a quick lesson in Alta California, Padre Serra, Jose Francisco de Ortega, and the De la Guerra family before your visit. Google them for brief information and overviews. Your visit downtown will be that much richer if you do. Or, stop by the Historical Museum for more information. Woven within the historical downtown area is a plethora of upscale boutiques and national retailers. It makes for a wonderful mix of historic with modern, and cultural pursuits with retail therapy. The Downtown/Waterfront Electric Shuttle makes an excellent alternative form of transportation for those who don't want to walk the downtown area. The Shuttle is very inexpensive and travels frequently from the downtown area to the Wharf. Santa Barbara definitely has a beach style and that means almost nowhere will you find someone in a suit, unless you visit the Courthouse during weekday hours. So just bring casual clothes. Nancy Shobe is an acclaimed travel writer and author who specializes in the California Central Coast and Southern areas. A Santa Barbara resident for nearly 20 years, Nancy knows the nooks and crannies of the city and can help you effortlessly navigate around. She has an adventurous spirit coupled with a wicked sense of humor and a passion for trekking and touring. SKU: NS010001. Categories: California, United States. Tags: California, City/Town, Historical/Heritage, Nancy Shobe, Santa Barbara, United States.